An explosion of floral sensations, Flowerbomb enchants the world. An exceptional trail of volume. Sublime, delicious and addictive. 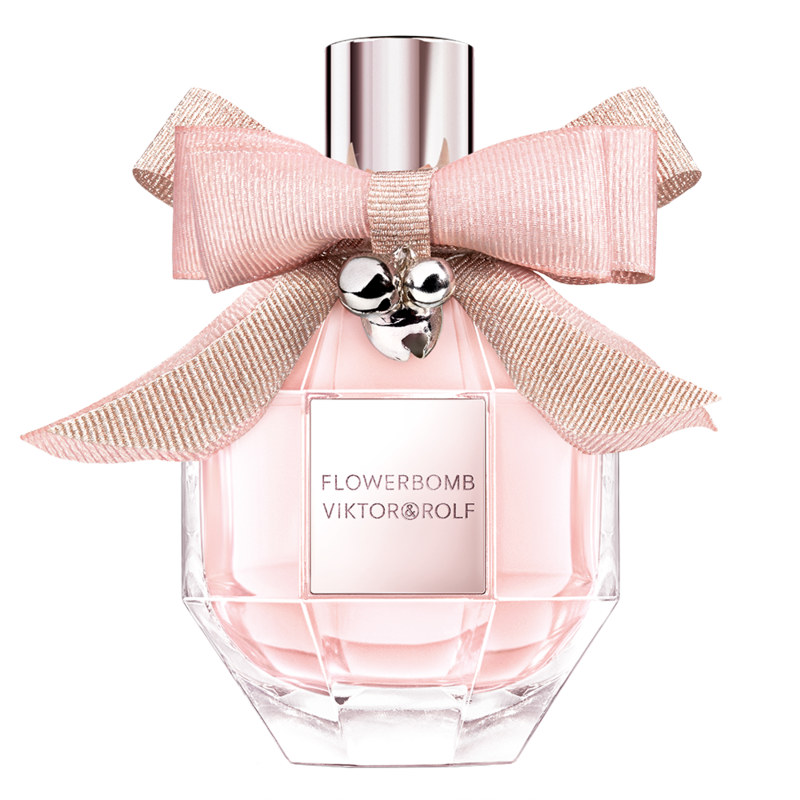 Discover the Flowerbomb holiday limited edition by Viktor&Rolf with an haute-couture pink bow that jingles with holiday magic. 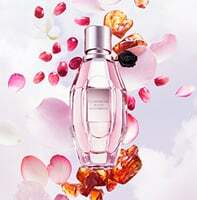 This Flowerbomb limited edition is the first fragrance bottle made with 10% of high-quality recycled glass material. Dive into the holiday festivities with this Flowerbomb Eau de Parfum Holiday Set, presented in a music box inspired packaging. This enchanting box opens to reveal a 1.7 fl. oz. Eau de Parfum spray, 0.68 fl. oz. Eau de Parfum spray, 6.7 fl. oz. Body Lotion and the 0.33 oz. Eau de Parfum rollerball. Celebrate the holidays with Flowerbomb's spectacular limited edition Holiday Giftbox. The collectible box opens to reveal the 3.4 fl. oz. Eau de Parfum spray, 1.7 fl. Shower Gel, 1.7 fl. oz. Body Lotion and 1.4 fl. oz. Body Cream. 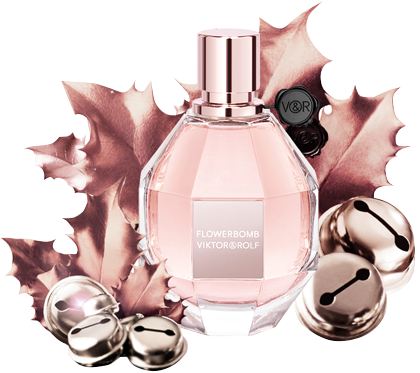 Flowerbomb gets dressed up this holiday season with a limited edition pink bottle and a metallic flower. 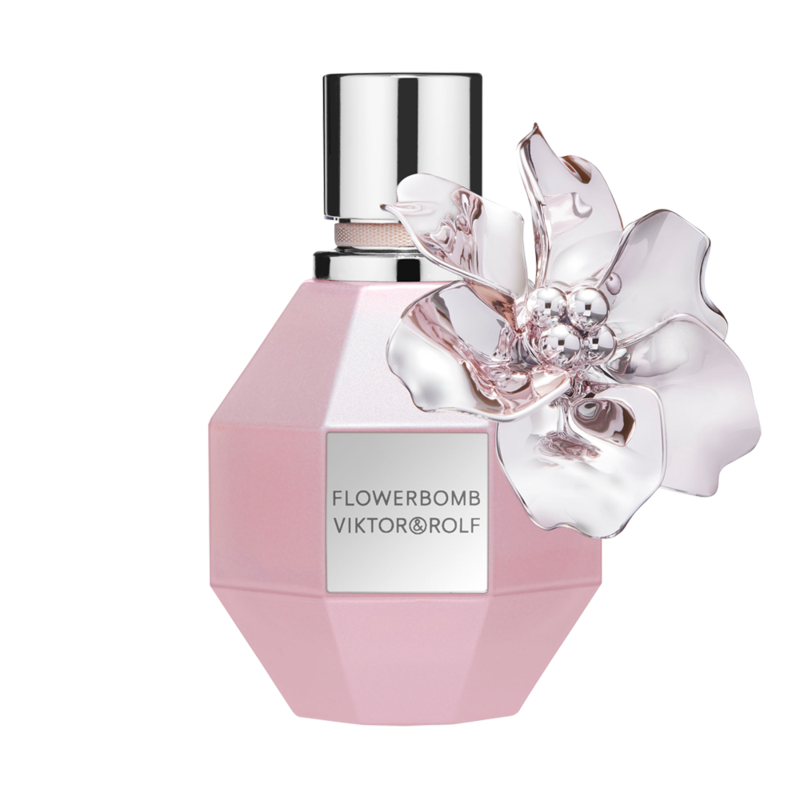 Discover the Flowerbomb Pink Holiday Limited Edition by Viktor&Rolf. Flowerbomb dazzles this holiday season in this luxurious Holiday Box. This sparkling pink box opens to reveal a 1.7 fl. oz. Eau de Parfum spray and .25 fl. oz. Eau de Parfum Travel Spray. Dive into the holiday festivities with this Flowerbomb Ultimate Gift Holiday Set, presented in a music box inspired packaging. This enchanting box opens to reveal a 3.4 fl. oz. Eau de Parfum spray, 6.7 fl. oz. Body Cream and 0.33 fl. oz. Eau de Parfum rollerball. Celebrate the holidays with Flowerbomb's spectacular limited edition Holiday Luxe Set. The collectible box opens to reveal the 1.7 fl. oz. Eau de Parfum spray, 1.7 fl. oz. Body Lotion and 1.7 fl. oz. Shower Gel. 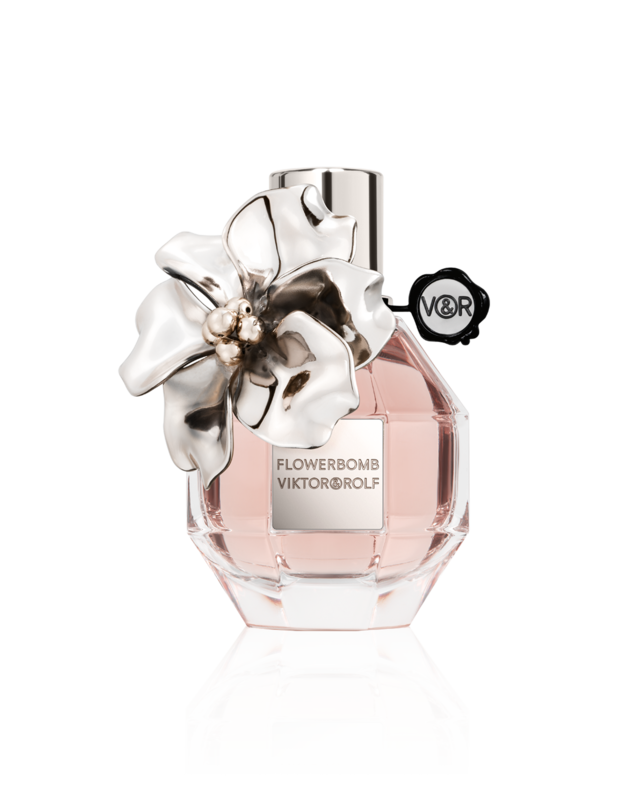 Flowerbomb gets dressed up this holiday season with a limited edition silver bottle and a metallic flower. 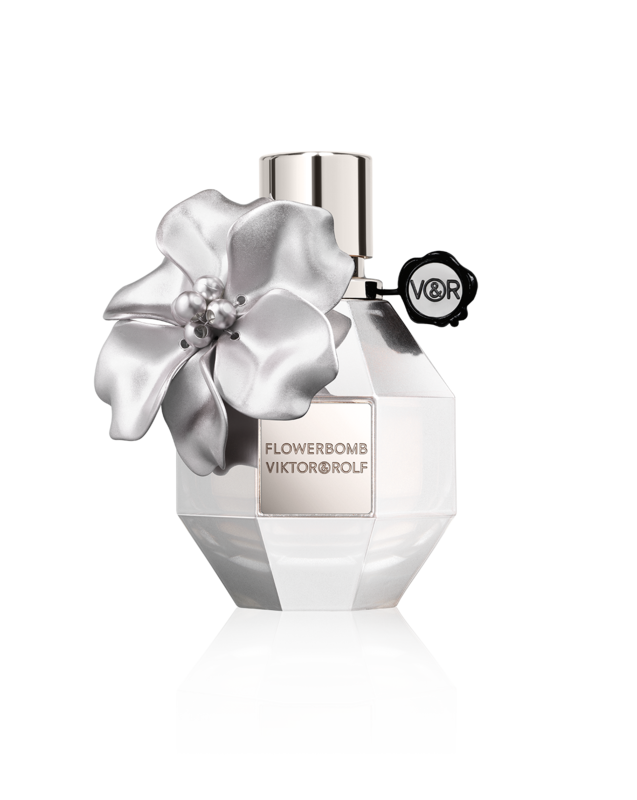 Discover the Flowerbomb Silver Holiday Limited Edition by Viktor&Rolf. 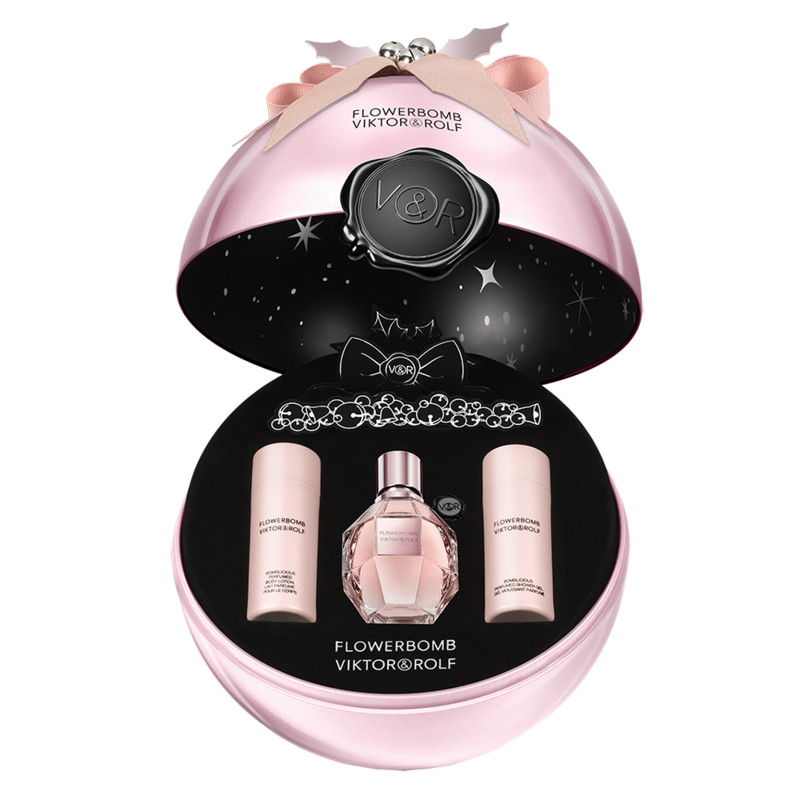 Give the perfect gift this holiday season with the Flowerbomb Holiday Gift Set. The limited edition set is dressed up with an iconic couture bow and opens to reveal the 1.7 fl. oz. Eau de Parfum spray, 6.7 fl. oz. Body Lotion and the 0.33 fl. oz. Eau de Parfum rollerball, nestled in a bed of luxurious satin. Dive into the holiday festivities with this magical Flowerbomb Holiday Set, presented in a music box inspired packaging. This enchanting box opens to reveal a 1.7 fl. oz. Eau de Parfum spray, 6.7 fl. oz. Body Lotion and 0.33 fl. oz. Eau de Parfum rollerball. Flowerbomb gets dressed up this holiday season with a silver metallic flower. 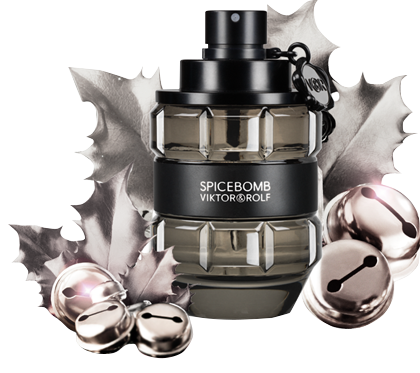 Discover the Flowerbomb Classic Holiday Limited Edition by Viktor&Rolf. Discover the Bonbon holiday limited edition by Viktor&Rolf with festive haute couture accessories, making the bottle more fashionable than ever. This Bonbon limited edition is the first fragrance bottle made with 10% of high-quality recycled glass material. Indulge yourself this holiday season with the Bonbon 3-Piece Holiday Set. Shaped like the signature Viktor&Rolf bow, this set opens to reveal the 3.4 fl. oz. Bonbon Eau de Parfum spray, a 1.7 fl. oz. Body Lotion and 1.7 fl. oz. Shower Gel. 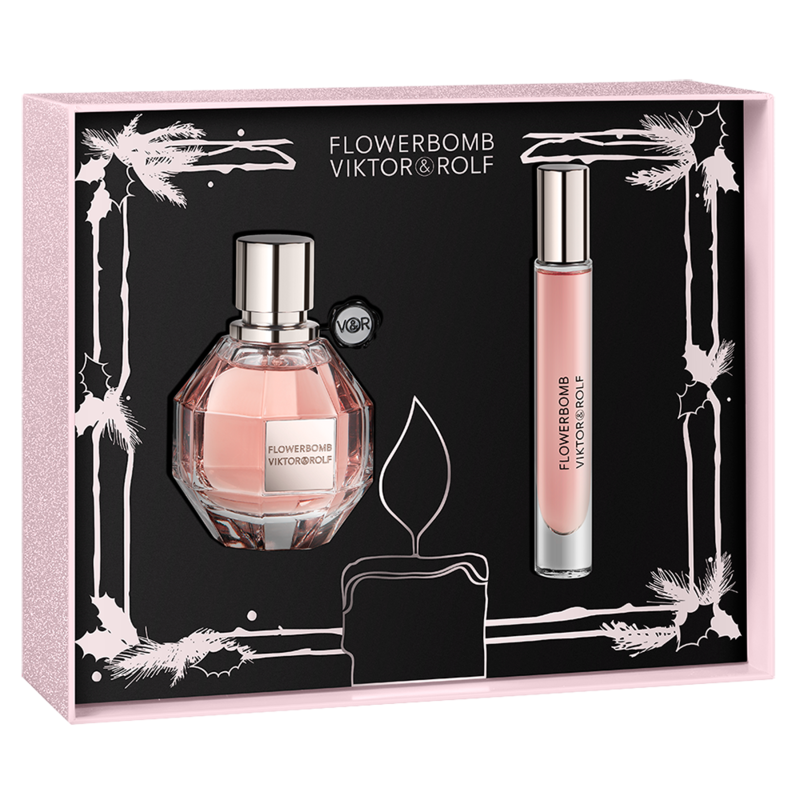 Adorned with the signature Viktor&Rolf bow, this delectable set opens to reveal the 1.7 fl. oz. Eau de Parfum Spray and a .68 fl. oz. travel-size Eau de Parfum Spray. Indulge yourself this holiday season with the Bonbon 2-Piece Holiday Set. Shaped like the signature Viktor&Rolf bow, this spectacular set opens to reveal the 1.7 fl. Oz. Eau de Parfum spray and .68 fl. Oz. travel-size Eau de Parfum spray to ensure she will never be without the delicious scent of Bonbon. Bonbon gets dressed up this holiday season with an glittering pink and purple sequin bow. Discover the Bonbon Pink Sequin Bow Limited Edition by VIktor&Rolf. This decadent set opens to reveal a 1.7 fl.oz. Eau de Parfum Spray, 1.7 fl.oz. Body Lotion, and 1.7 fl.oz Shower Gel. Sealed with a heart, this Bonbon 3-Piece Coffret opens to reveal the 1.7 fl. Oz. eau de parfun spray, 1.7 fl. Oz. body lotion and a 1.7 fl. Oz. shower gel. Bonbon gets dressed up this holiday season with an glittering pink and black sequin bow. Discover the Bonbon Black Sequin Bow Limited Edition by VIktor&Rolf. Wrapped with the signature Bonbon ribbon and bow, this set opens to reveal a 3.0 fl. oz. Eau de Parfum Spray, 1.7 fl. oz. Body Lotion and 1.7 fl. oz. Shower Gel. 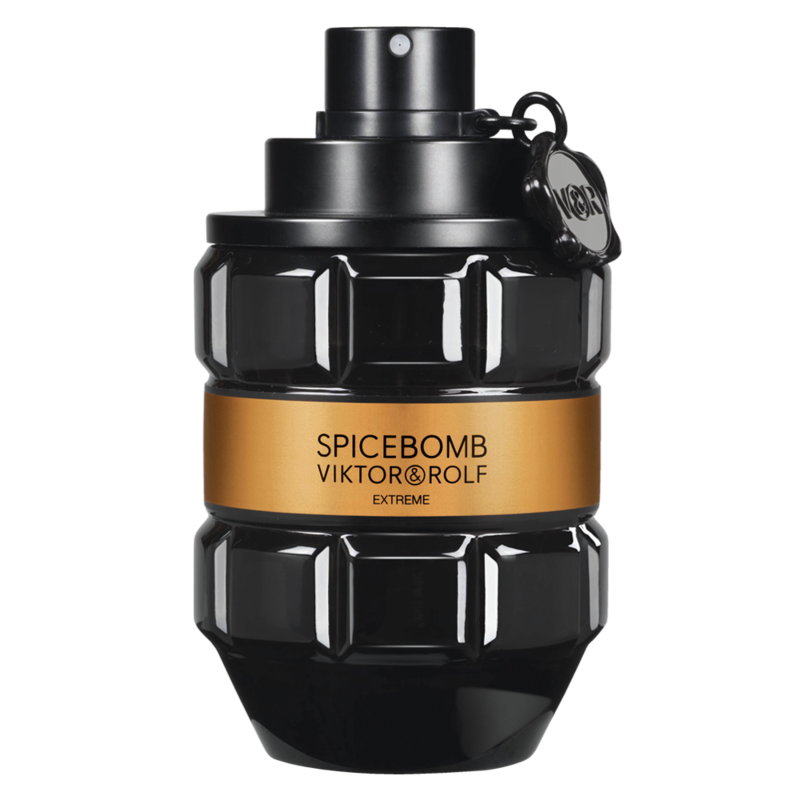 Spicebomb is an explosion of Spices, a sensory detonation of masculinity. A blaze of fiery spicy notes; dutch cinnamon, saffron, pimento berries and pink pepper all of which create a captivating experience. The bottle is a powerful grenade. A weapon of mass seduction! 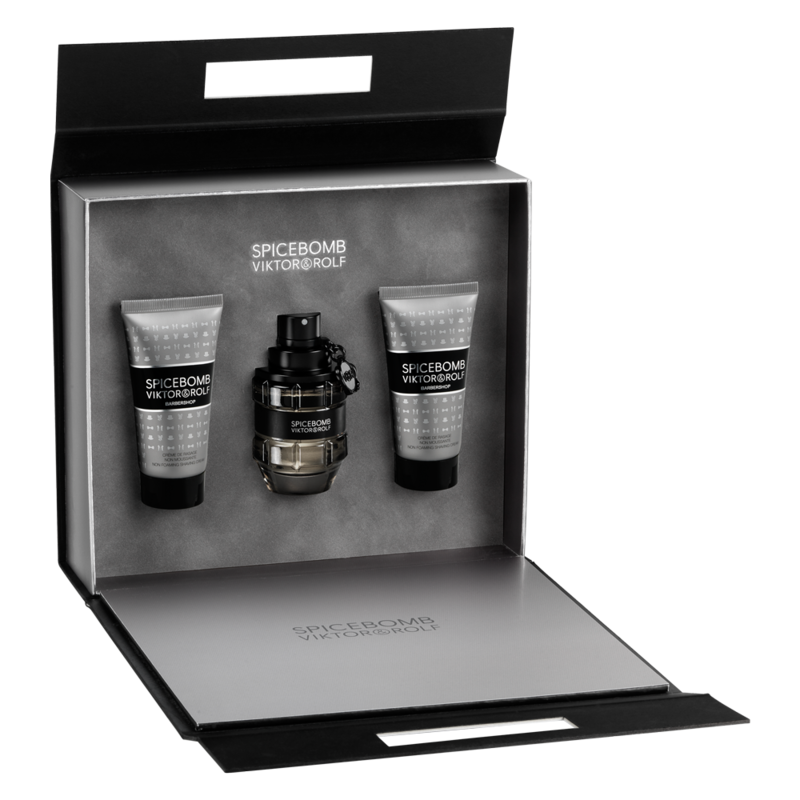 Treat him this holiday season to a luxurious Spicebomb Juice Set. The reusable metal case includes the necessary gear to transform you into a powerful and daring man. The set unlatches to reveal 3.0 fl.oz. Eau de Toilette spray and .67 fl. oz. 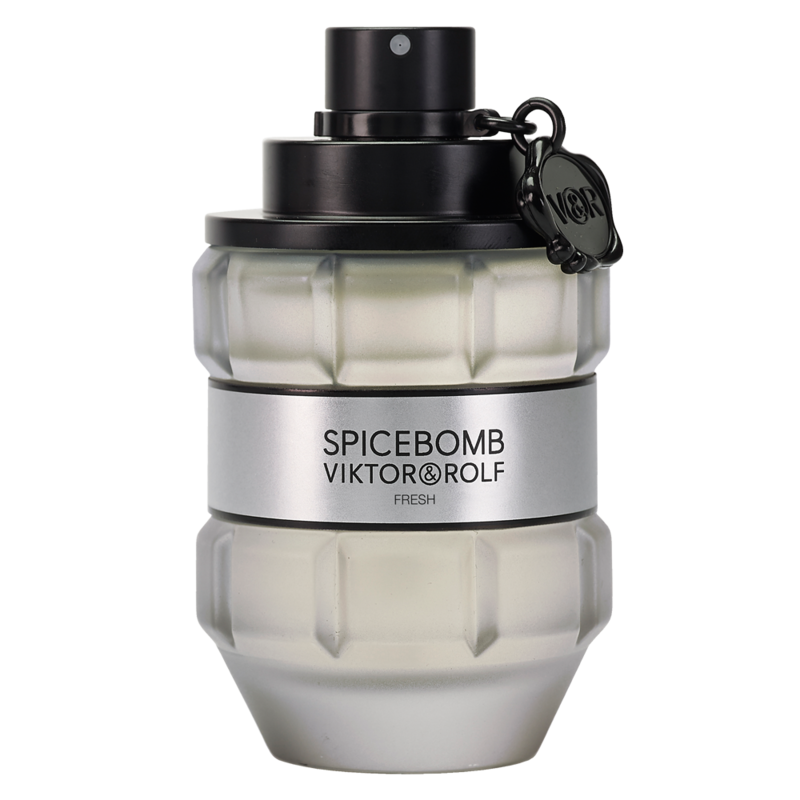 Eau de Toilette spray to ensure you’ll never be without the addictive scent of Spicebomb. 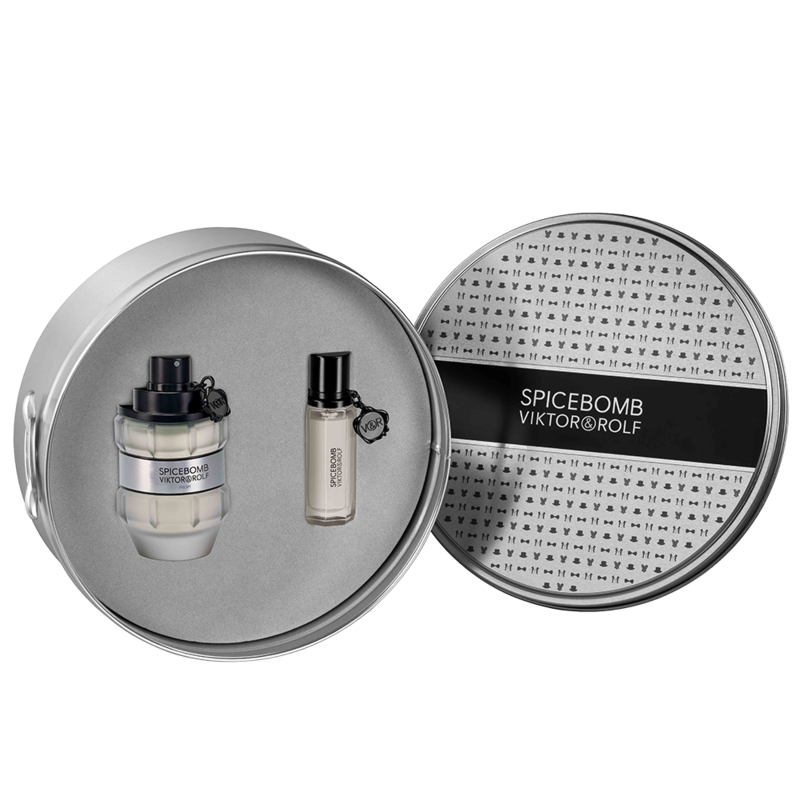 Treat him this holiday season to a an explosive concentrate of addictive freshness with the Spicebomb Fresh Gift Set. 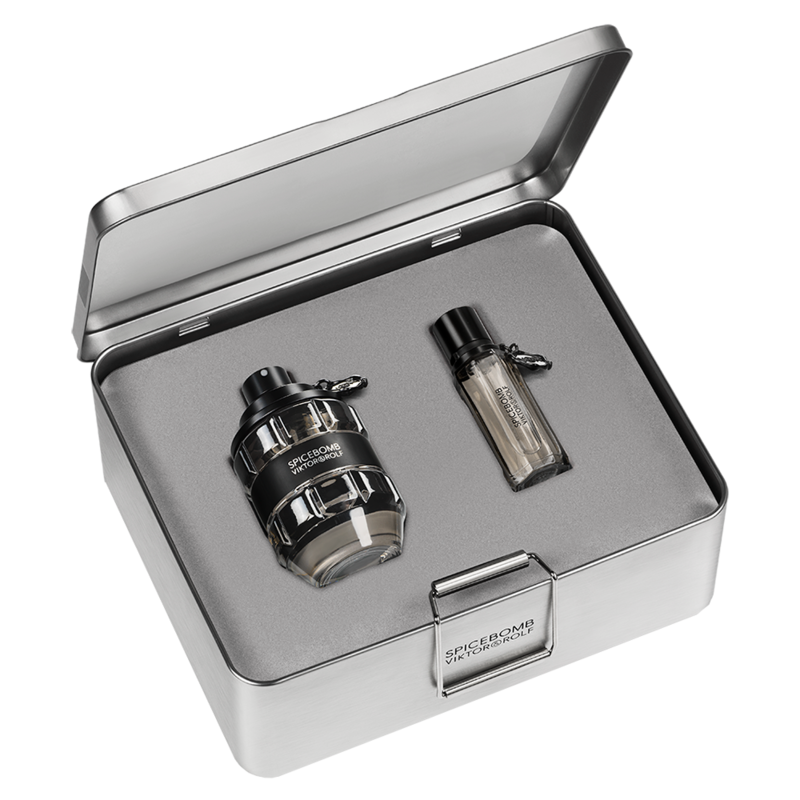 Sealed with a magnetic strap, this silver case includes the necessary gear to transform you into a powerful and daring man. The set opens to reveal the 3.0 fl. Oz. Fresh Eau de Toilette spray and the 0.68 fl. Oz. Fresh Eau de Toilette Spray. 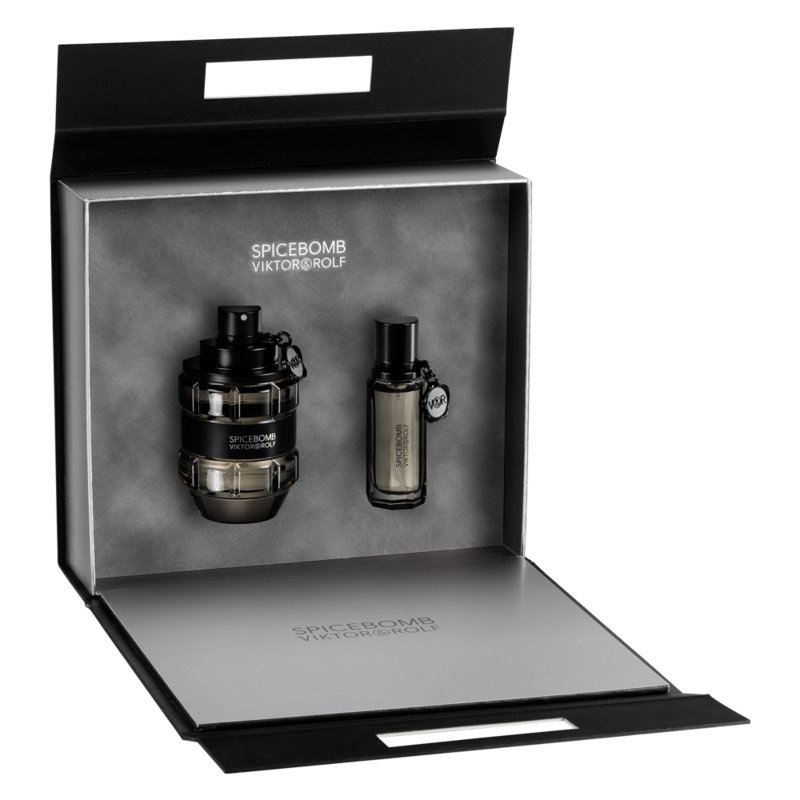 Add some spice to your routine this holiday season with the new Spicebomb Coffret. This daring set opens to reveal the 3.04 fl. oz. Eau de Toilette Spray and 0.67 fl. oz. Eau de Toilette Spray. Spicebomb Extreme is an explosion of heat! 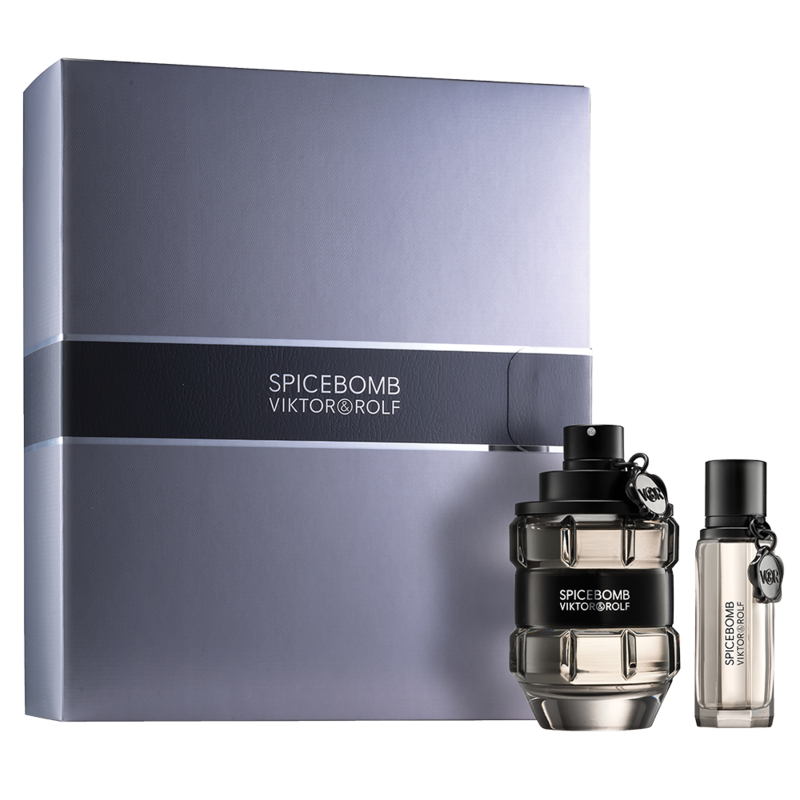 A longer lasting, deeper and more extreme fragrance based on the original Spicebomb. The spicy notes are enhanced and more intense in this Eau de Parfum for Men. This daring Spicebomb Set opens to reveal the 1.7 fl. oz. Eau de Toilette Spray, 1.7 fl. oz. Shave Cream, and 1.7 fl. oz. After Shave Balm. This daring set opens to reveal a 3.04 fl. oz Spicebomb Fresh Eau de Toilette Spray and .67 fl. oz Spicebomb Eau de Toilette Spray. This daring Spicebomb Set opens to reveal the 3.0 fl. oz. Eau de Toilette Spray and .67 fl. oz. Eau de Toilette Spray. This daring Spicebomb set opens to reveal a 3.0 fl. oz. Eau de Toilette Spray, 1.7 fl. oz. Shower Gel, and a 1.7 fl. oz. After Shave Balm. Wrapped in a signature white grosgrain gift box or in a gift bag tied with couture bows, find the most personalized perfect gift. A profusion of flowers as a weapon to bombard the world with beauty and fantasy and to transform the negative into postive.